Photographer Klaus Thymann and documentary maker Michael Langhoff have just returned from one of Project Pressure’s most intrepid expeditions to date – a journey into the mountains of Iran to document the vital glaciers of this beautiful yet forbidding land. 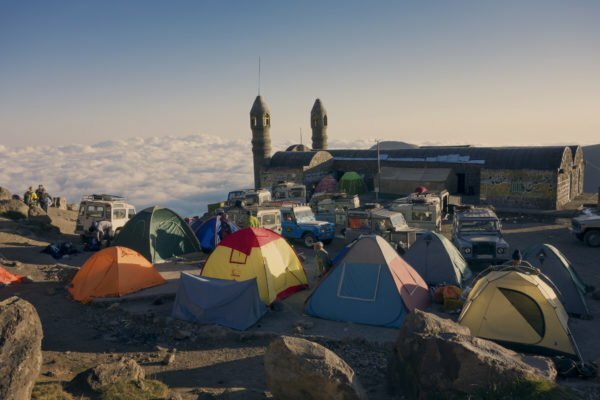 The team spent 11 days in the country; starting a short distance from Tehran on Mount Damavand, part of the Elborz Mountain range, then completing the expedition at the inactive stratovolcano Mount Sabalan. Along with geotagged images of the region’s glaciers, Klaus and Michael also documented the backdrop of the journey, depicting the country’s heritage, culture and unique landscapes to generate press interest. Watch this space for more Iran updates!